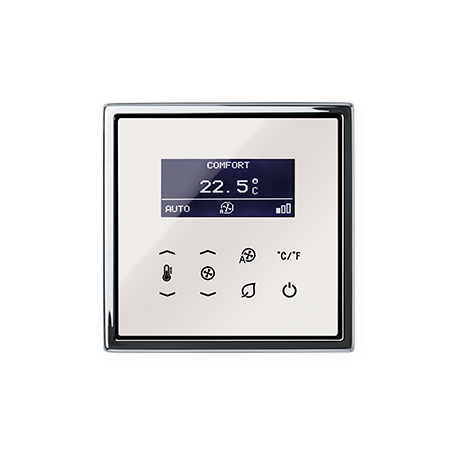 A consistent design in the hotel room is also provided by JUNG for the climate control. 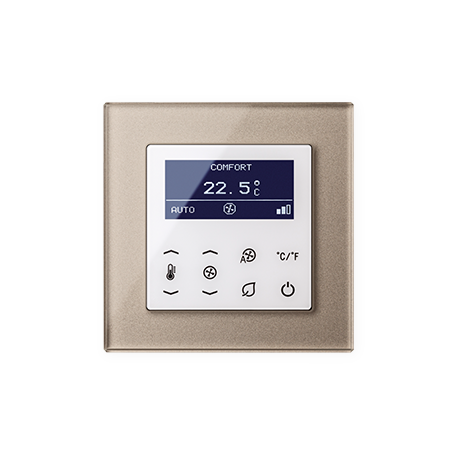 Room temperature and ventilation are set intuitively with the FanCoil room thermostat. 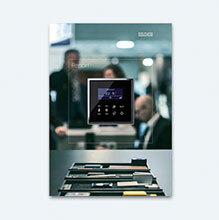 This provides comfort for the guest and energy efficiency for the operator. 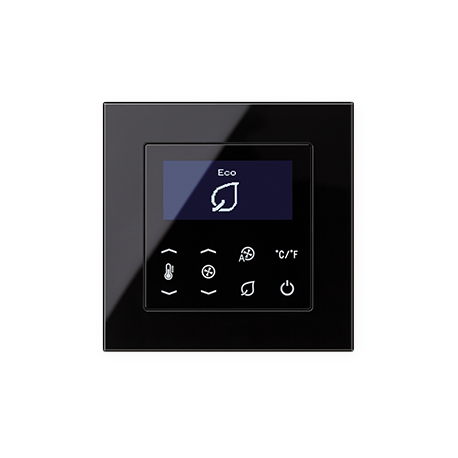 The FanCoil room provides the optimum temperature in the hotel room, whether as a conventional design or as a KNX device. 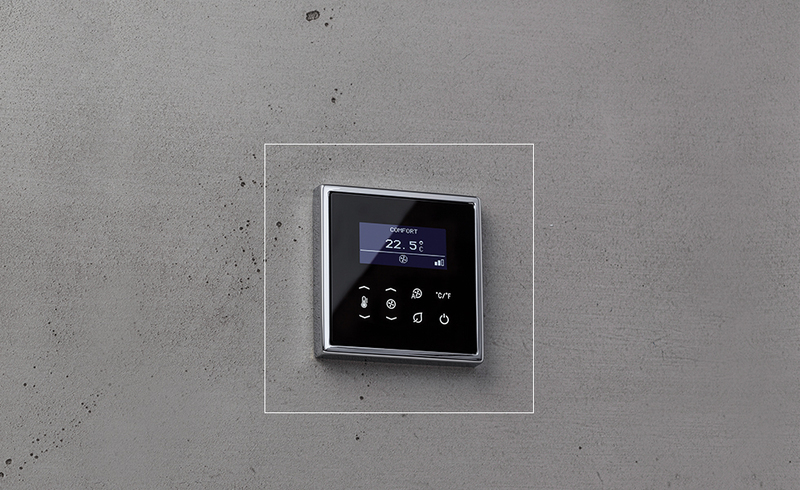 In the switch design and with a high-quality, real glass front, the thermostat fits harmoniously into its surroundings. Clear information and unambiguous symbols make it easy for the guest to select the appropriate climate mode for their own comfort. 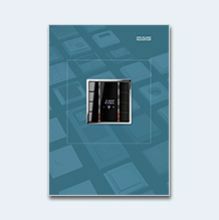 The “Eco” mode, one of four operating modes, meets the requirements for more energy efficiency. the display is darkened in the idle state so that the sleep of the guest is not disturbed. 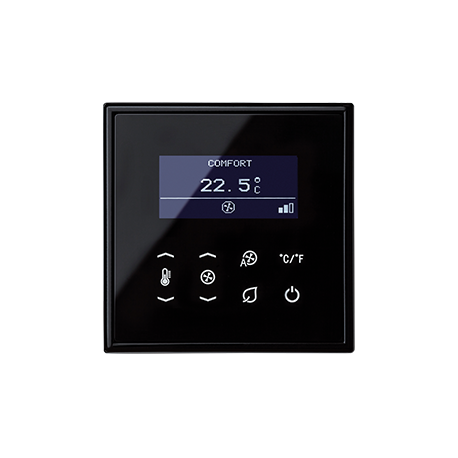 The controller can be operated comfortably at an installation height starting from 1.40 metres.